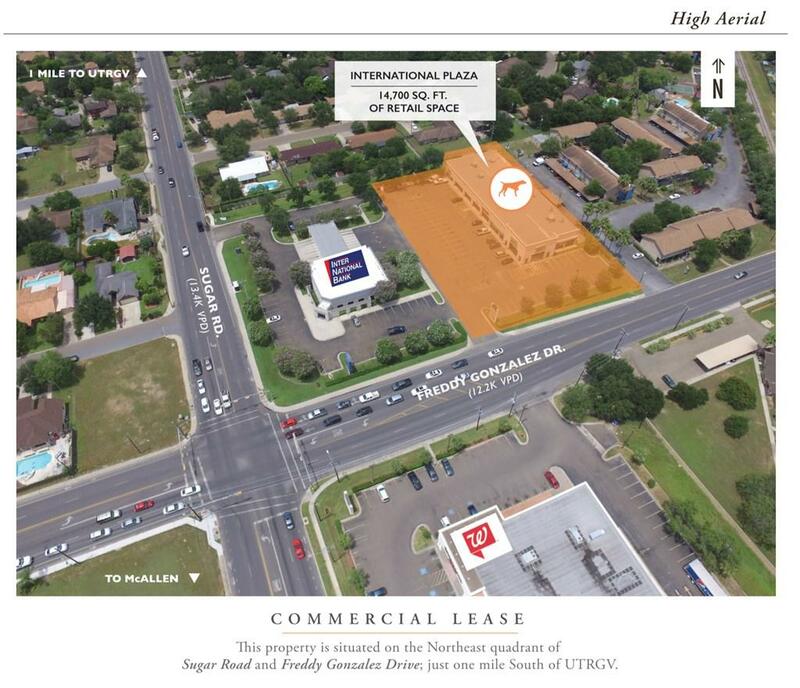 International plaza benefits from it's location on a highly traveled intersection of Sugar Rd. and Freddy Gonzalez. Located within one mile of UTRGV and the Hidalgo County Courthouse. High density of residences surrounding the Plaza. 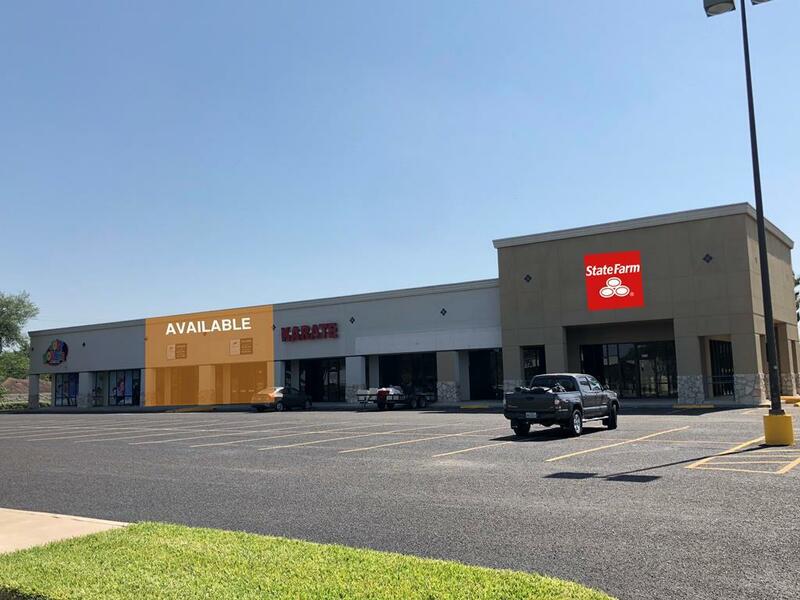 Two suites currently available (2,600 sf and 1,750 sf). Suites could be combined if a tenant required more space.